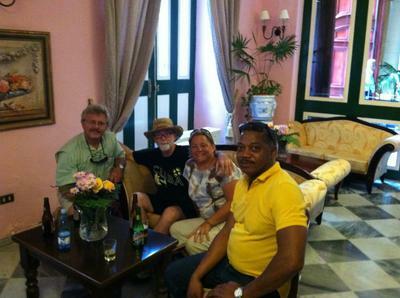 Dale, me, Sally, and our Cuba tour guide. We traveled to Cuba in November 2012. 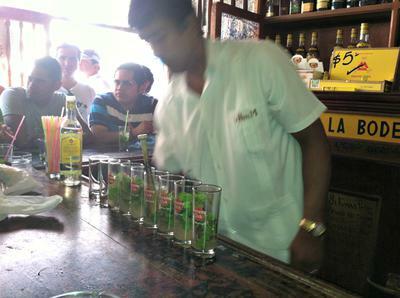 It was an amazing journey into a culture that had been forbidden to US citizens since the Castro revolution. Now that it is opening up to Americas, I thought I would share our experience. I imagine that things are going to change quickly once America and Cuba normalize relations. We were fortunate to travel under a special section of the State Department - a cultural exchange program. Non-Americans, of course, can already visit Cuba without such special arrangements. And soon, Americans will be alllowed to visit, too! Finally landing in Havana Jose Marti International Airport was thrilling for us. We found the citizens to be very amiable and contrary to reports, we were not followed around by anyone. We spent 9 wonderful days in Cuba, both touring the island and discovering Havana, especially Old Havana. The countryside is wonderful, with many beautiful beaches, while the city is intriguing - almost caught in a time warp. One of our group had lived there with his father for 2 years pre-revolution. He was a great travel companion and this was his first visit back since he was 7 years old. All in all, when Cuba opens to American visitors (and to the rest of the world already), I highly recommend this fascinating country. I fully agree with all of your points. Cuba, in my opinion, is a must see now... before it explodes into tourism. It sounds like Anguilla is one of those unique spots that will continue to enjoy increased awareness by those looking for less hustle and bustle and a more relaxed environment. Thank very much for that nice capsule report of your visit to Cuba, Norman. 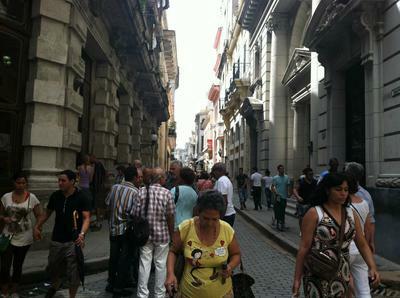 Cuba, of course, is currently "top of mind" for many tourism officials of Caribbean islands. Before the revolution, Cuba was one of the richest countries in Latin America and the Caribbean. 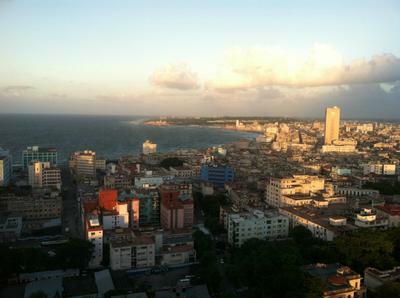 Tourism was booming and Havana was the urban jewel of the region. Corrupt, yes, with large inequities which is what enabled the revolution to succeed. But, as usual, all "the people" got in the following dictatorships was a dictatorship where virtually all were poor. After an overall decrease in GDP, average personal wealth and standard of living, especially since Russia cut its subsidies, Cuba now sits poised to see explosive growth. Cuba has been increasing its share of Caribbean tourism over the past 15 years, eliminating the paranoid 2-tier system for a more open mode of travel. Now that it is close to opening up to America, which is only 93 miles away, expect it to explode in importance, once again, in the Caribbean region. Every other island worries what its impact will be. Some feel that Cuba may actually attract more business to the Caribbean in general. I don't agree, though. It will most likely impact other large islands which receives rather generic Caribbean travel (ex., Dominican Republic, Barbados and Trinidad), while "niche islands" such as Anguilla, with strong points of differentiation, should continue to do quite well. We'll find out pretty soon. One thing for sure is that the Cuba that you saw, Norman, is going to change rather rapidly! Join in and write your own page! It's easy to do. How? Simply click here to return to Your Favorite Caribbean Islands.